Discover 2N’s latest answering unit – the Indoor Talk, the perfect end point for all residential applications. Compatible with all 2N IP intercoms, the new Indoor Talk offers a stylish, easy to use device perfect for users to freely speak with and grant access to visitors. 1. 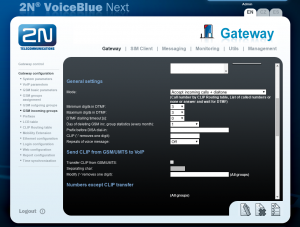 Set up a trunk on you PBX to use Register/account based authentication and set the main trunk number to the number of the sim you want the inbound calls to come from. 3. 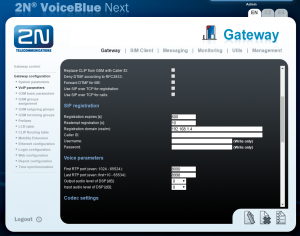 On the same page in the IP Addresses section enter the IP address of the PBX in the SIP Proxy (GSM→IP) field. 5. Same section set the DTMF dialling timeout to 0 (zero). 6. Same section under List of called numbers add the number of your sim. 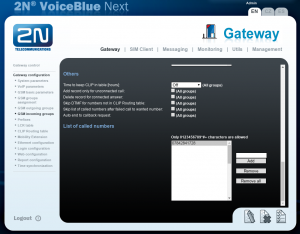 Calls should now pass through to your PBX and can be routed as required. 2N have a focus on the IP market, meaning that all of their intercoms and access control units are IP-enabled, allowing for far easier management and installation of the units. Keypad – There are mechanical keypads and touch-sensitive keypads available, allowing the user to enter their PIN in order to gain access to the building. RFID – There are several standards that the 2N readers work with, allowing the user to swipe their fob or ID card, or even their smartphone in NFC-enabled reader, to gain access to the building. Fingerprint – Arguably the most secure option, 2N’s fingerprint reader ensures that no-one can gain access to the wrong areas. Bluetooth – Paired with a user’s smartphone, the Bluetooth option allows for very secure entry, as it can be set to have the user unlock their smartphone in order to input a code before the door will open. It can also allow opening from a distance which would be useful on vehicle gates where getting out of the vehicle is inconvenient. As well as access control, you can purchase a matching reader to go inside the door and build an accurate clocking in/out system, you can even purchase more than one method of authentication to make your premises more secure. Join me on Wednesday 14th February for an in-depth look at the access control options available with the 2N range and the management of such systems. You’re invited to join us to discover the latest access control methods and practices in our upcoming 2N Access Control Webinar on Wednesday 14th February at 11 am. 2N are often updating their access control devices to incorporate the latest technologies – this is a great opportunity for you to learn about the most recent developments and how they can enhance your product offering. Whether you’re already a 2N customer or a reseller looking to branch out into the world of IP intercoms, this 30-minute webinar is ideal for anyone looking to expand their knowledge of the 2N range – register now to hear more from our 2N expert, Gavin Sykes. New for 2018, 2N has announced an extension to their product warranty. 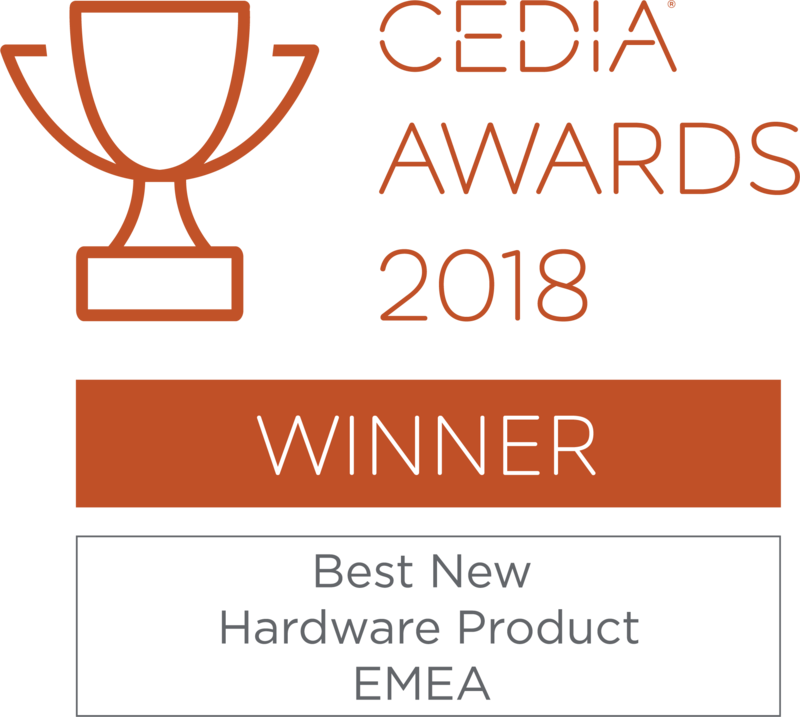 Applicable to their entire product range, 2N products purchased from 1st January 2018 are now supplied with an industry-leading 3-year warranty! Whether you’re looking for a stylish modular system or a highly visible emergency intercom, 2N offer a variety of options all of which come with the added peace of mind this new warranty brings. To discuss your 2N requirements and for assistance on any projects you may be working on, please contact our 2N Specialist, Gavin Sykes on 01484 840048 or email gavin@provu.co.uk. We recently set up our 2N IP Vario to wake up our computers when we scan our key fobs to enter the office. This means that our employee’s computers are switched on and ready to go before they even arrive at their desk. 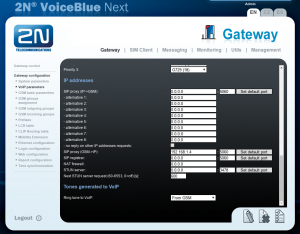 We did this by writing a web app which uses the ‘Wake on LAN’ protocol, this was then added to 2N’s automation feature. ‘Wake On LAN’ is an existing protocol supported by many desktop computers. Once a user scans their key fob on the IP Vario it then sends a HTTP request to our web app that includes the id of the key fob. The app then finds which user has scanned into the building by looking up the id of the key fob which was used and finds the associated user. With the username, the app then looks up the mac address for that user’s computer which calls Wake On LAN to broadcast a magic packet across the network. If the PC has power but is not turned on the computer will then boot. 2N’s Access Unit offers an ideal solution for areas where access needs to be controlled. Thanks to the launch of three new models, you can now adapt your Access Unit to suit your users’ individual security requirements in either an internal or external environment. With the touch keypad you can authorise entry with a unique PIN. Users simply enter the PIN code to gain entry. With Bluetooth technology, you can enable access through the use of a smartphone, reducing the risk of PIN abuse. For maximum security, add the fingerprint reader unit and limit entry to each individual, with their own fingerprint. Have you seen the new 2N Helios IP Solo yet? Ideal for home installations this smart, compact intercom offers a high-quality door control system with wide-angle HD camera, complete with night vision! Available in either a black or brushed nickel finish, the Solo can be surface or flush mounted to suit your specific user requirements. With 2N’s open API, the IP Solo can be easily integrated with existing home automation systems. To discuss your door entry requirements and to find out more about 2N’s offerings, please call 01484 840048 or email contact@provu.co.uk.